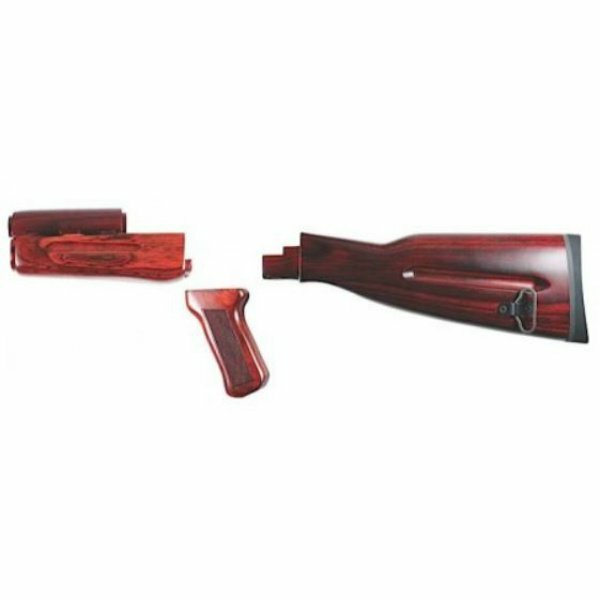 The TimberSmith Romanian AK-47 Wooden Stock Set is the standard in wooden rifle stocks. 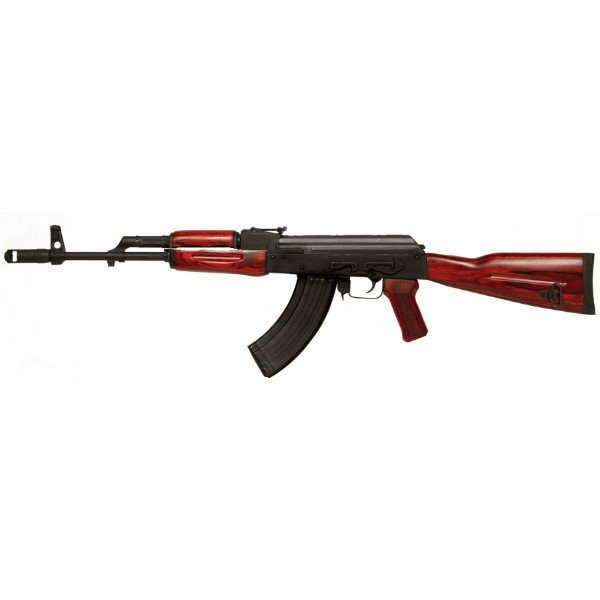 Built for Romanian AK47-AKM rifles but will work on most stamped receiver AK47-AKM rifles. This master crafted set is an ideal enhancement to any Romanian AK-47 if you want to maintain its original elegance. Every set is hand picked to ensure that there is a consistent finish, front to back. The handguard is designed with a palm swell for optimum comfort and handling and has a pre-drilled hole to accommodate the cleaning rod. The pistol grip comes complete with new production grip screw, washer and bushing ensuring proper installation. The buttstock comes with a pre-installed rubber buttpad and metal side sling swivel and includes all the hardware needed for installation. On top of all of these features, every piece is 100% Crafted in the U.S.A. making this set count as 3 U.S. 922r compliant parts. 100% Crafted in the U.S.A. Note: Due to the nature of the laminate process, finishes will vary.